The title for this game alone is worthy of praise. RIP to the greatest. Could you elaborate on what would need to be improved? My First Game Jam: Summer Edition community · Created a new topic littlefoot. Welcome to Littlefoot's world. Join him on his travels to find the rest of his kind while avoiding sight of humans and other creatures. Littlefoot is a procedurally generated stealth platformer. 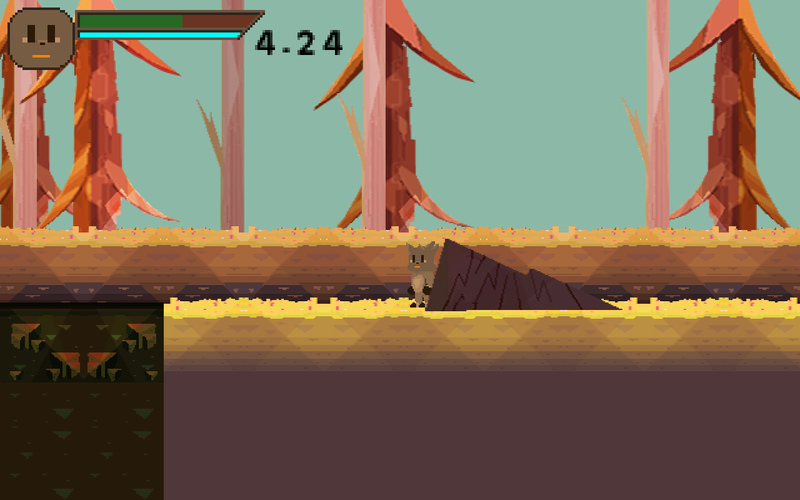 The player must hide and avoid being sighted by the humans, while also being mindful of the obstacles. Littlefoot is a small, self conscious, sasquatch creature with an acute fear for humankind. He wakes up from his cave one morning to find that his parents are missing. Worried and confused, Littlefoot goes out into the unknown world in search of his kind. its no biggie man im pretty sure most people here are new to jams (as am i). have fun and dont worry! The soundtrack for Apollo has been coming along nicely so far. Happy to lend a hand and create a few sounds for the project. More to come! The year is 2099. A breed of super-wolves have been bred to fight for the US armed forces. You and your wolven comrades are being held captive by North Korea. Your mission is to escape captivity and demolish the enemy base from within. I have compiled a set of plugins, vsts and other useful tools for use creating soundscapes, sound effects, and music for the game jam! TWEAKBENCH: Plenty of vst instruments and sound manipulators here. Wide variety of different sounds and effects. Piano One: A great piano with a few reverb and delay effects built in. Earthbound Soundfont Pack: Huge soundpack with plenty of synths, basses, leads, and percussion from Earthbound. Great if you want to make a retro sounding track! LazySnake: Electric piano with a rhodes sound. Feel free to add your own tools to the list! Hello, I'm Adrian and I'm pretty excited to be doing a game jam as it's my first! I'm anxious to see what I'll be able to come up with and I hope to see what others are able to make as well. If you don't know me, I'm a shy teen with a passion for art of all mediums (especially music and video games). My tastes are pretty all over the place in terms of music genres (hiphop/rap, electronic, jazz, metal) and I like wayyy to many different kinds of games (Binding of Isaac, Pokemon, Earthbound, Dark Souls, Xenoblade X, etc. etc.). I love meeting new people and making friends, although I'm kind of an introvert, and I hope to meet other artists and developers throughout the jam! Overall I'm can't wait to participate in the jam! Hey, my name is Adrian and I love all kinds and genres of video games! I'm very much looking forward to this game jam (it's my first!) and I'm hoping to get in collaborate with others to create a game, make friends and have a good time in the process. While I'm not bad at drawing characters and creating assets for games, I would like to find a more talented artist to work with. I believe presentation and art direction is very important to the core of games in general, and being able to work cooperatively with an artist would be beneficial to the project. 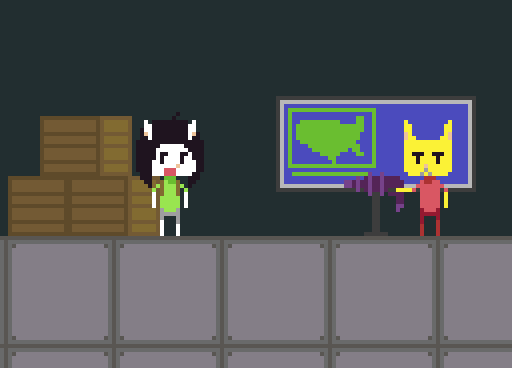 + I've developed a few very small games in Gamemaker Studio and am currently working on an open world platformer! If you wanna get in touch, hit me up on twitter (@hi_im_adrian_),or gmail (adrianharrell123@gmail.com).